Compact and very informative walk showing the most important areas of the city all together. From the newly built Central Station we enter the central area following city icons like the Lijnbaan, the Timmerhuis, the Markthal. We lead you through the daily life and history of the city, almost each building and a corner has a story! We introduce you to the riverside, viewing the high-end architecture development on the South bank and we end by the symbol of modern Rotterdam – the Erasmus bridge. Official tour language – English. Dutch, Spanish and German – on request. The South Bank of Rotterdam (Kop van Zuid) is a must see, a newly developed area that expands and spreads the centre across the river . ” The Manhattan on the Maas” is an amazing cluster of buildings designed by world famous architects like “the Rotterdam” by OMA, the Port Authority by Norman Foster architects! There is an extraordinary mix of residential and public areas that we will introduce to you together with the history of the semi island. The South Walk is nice continuation of Walk Centre. Photo Walk Rotterdam is a joint initiative of Walk Rotterdam and Claire Droppert – an unique combination of a photography workshop and an architecture tour. Claire Droppert is a photographer and influencer well known on Instagram as @Claireonline with around 300k followers. 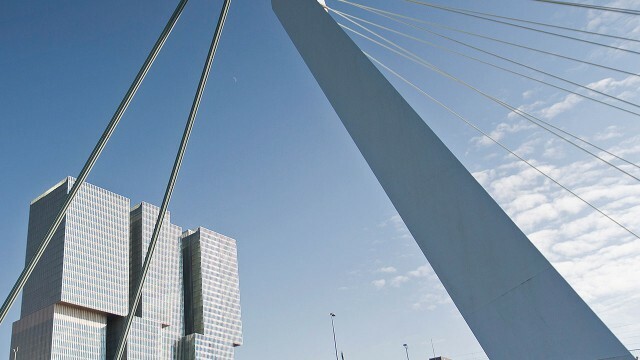 Discover Rotterdam led by an architect and a professional photographer! 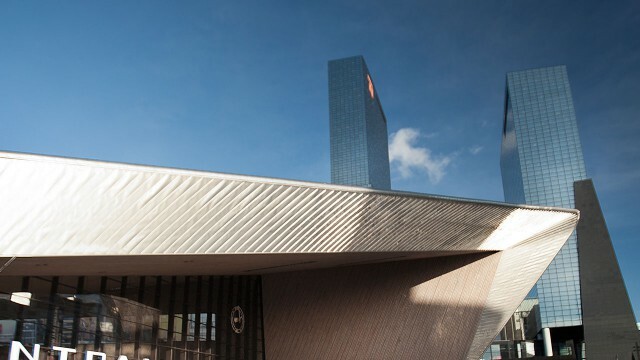 Learn about the history and the architecture of the port city while you photograph Rotterdam’s unique buildings and sites during the workshop. Find out how to take the best photographs on the site and capture the city as you never would have imagined. The theme of the current photo walk is SQUARES. The tour follows the main squares of Rotterdam, connecting the most emblematic and vivid public spaces in the city. It’s an unique way to get to know Rotterdam and offers spectacular scenery to create appealing and inspiring images during the photography workshop. The town squares mark the heart and soul of Rotterdam. Our walk begins at Central Station Square, we stop by the Theater Square, by City Hall Square, we enter indoor squares like the Markthal and we end by the intimate square of Blaak Forest – among the Cubic houses. On the way we take a coffee/lunch break combined with a review and discussion of your images. Photo Walk Rotterdam is a great event for teambuildings, family and friends weekends. We can provide a customised, group or private Photo Walk tour. Please contact us for more details. Rotterdam has an amazing treasury of outdoor art, beautifully spread throughout the city, thoughtfully binded with the urban fabric and routes. Since the destruction of the city centre in WW2, part of the reconstruction dedication was to revive the art in the city. Each major building project came along with a memorable and outstanding piece of art, sculpture, mozaic or installation. 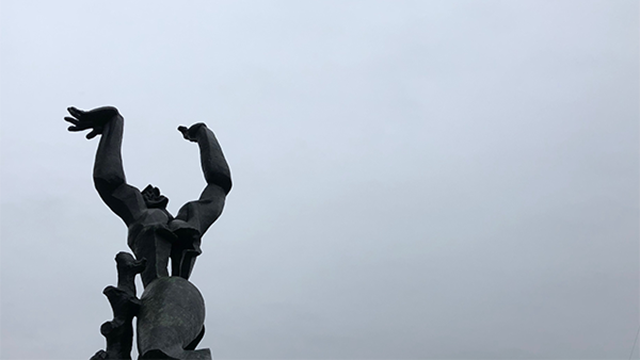 There is a series, a separate path of art pieces that we follow that marks the dramatic history of the bombarded city, memorising the casualties. There is a spread of modern art masterpieces through the center that we will guide you through. The artists names speak for themselves: Henry Moore, Roden, Picasso, Van Lieshout, Willem de Kooning. The Museum Quarter is part of our route – the most popular art venue together with the young, avantgarde Witte de Wit street. Art Walk can be booked on request. The tour is appropriate for single travellers, couples, families, friends, colleagues, all combinations of art lovers – from 1-20 travellers. Bigger groups are also welcome! Customising the route and the duration of the tour is possible on demand.Big groups are welcome! Official tour language – English. Spanish – on request.